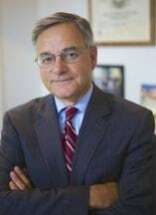 The Honorable Richard P. D’Addario is admitted to the bar in Rhode Island and New York. He has practiced law in Rhode Island since 1971 and serves as Probate Judge in both Tiverton and Little Compton and as Municipal Court in Portsmouth. The Law Offices of Richard P. D’Addario, located adjacent to the Newport County Courthouse has been providing legal services since 1985.